If you ever notice smoke or burnt materials inside your place of business, call SERVPRO of Rocky Hill / Sequoyah Hills / South Knoxville. It is not common, but it is possible that one day your Knoxville home design store will suffer from an unexpected blaze. Commercial fire damage can sometimes take place randomly or as a result of an act of nature. Once building materials and contents start to burn inside your store, the smoke and flames created can quickly spread throughout your building. Depending on several factors including the time flames have to cover before they are extinguished and how hot the blaze got, the problems created could turn out to be somewhere between minor and severe. Even a small burn in another business that is attached to yours can cause your home design shop to suffer from commercial fire damage. Immediately after the flames that sparked get put out, it is a wise plan to call in a professional restoration company such as SERVPRO. This year, our commercial fire damage team in Knoxville is celebrating their ten-year anniversary of providing assistance to businesses and residences in the area. We use the combination of our experience and specialized training to bring top-notch skills to the table. We know that when your place of business is the victim of a disaster, it could hurt the pocketbooks of you and your insurance company. However, if proper methods get taken, the costs of restoring your company's building can be significantly reduced. Our IICRC certified technicians at SERVPRO, know ways and have the necessary equipment to reduce costs by saving your contents and building materials instead of removing and replacing them. Depending on how severely the things inside your business got burnt, like your products or your building's structural components, it is possible that we can clean, treat, or re-finish items to keep them from being thrown away. Since disposal is the most expensive option of mitigation, we try to utilize the combination of our vast amounts of experience and advanced technology to restore objects inside your store back to the way they were before without having to remove and replace them. If you ever notice smoke or burnt materials inside your place of business, call SERVPRO of Rocky Hill / Sequoyah Hills / South Knoxville at (865) 862-8907 24 hours a day. Click here for more about Knoxville. Our team is here to serve our Downtown Knoxville community 24/7/365. Downtown Knoxville apartments that suffer any damaging disaster require the fast and efficient response of trained professionals to begin mitigation and restoration work. With many apartments connected to units through shared walls, ceilings, and floors, the spread of any water loss incident could affect multiple properties at the same time. With a fast response at the first sign of a water emergency, our professionals can help to contain the spread of these conditions and work to repair the damage and restore the effects right away. While water damage recovery can happen in many steps for your Downtown Knoxville apartment, our professionals have the effective tools and extensive training to make the process as efficient as possible. With industry-leading equipment and a full roster of IICRC-Certified Water Restoration technicians available 24/7 for water emergencies, we can work to reduce the spread of your water loss incident to neighboring properties and protect the affected structural elements, construction materials, and contents of your apartment with our initial visit. Inspection is often one of the first steps when our SERVPRO team first arrives at your damaged apartment, and this gives our team an idea of the spread and scope of the effects. If standing water exists, we have to address these concerns first as these can substantially damage exposed materials and contents. We have efficient extraction equipment ranging from truck-mounted pumps and trash pumps to portable sump pumps and weighted extractors. We can quickly remove standing water threats to get right to critical drying steps. Mitigation for water loss incidents hinges on our ability to thoroughly and completely dry saturated elements and areas of your apartment. We have powerful tools like our Injectidry system for wall cavities that have minimal invasiveness to protect construction materials that can get preserved with adequate drying techniques. The fast response of our certified technicians can help to not only protect your unit, but also any neighboring properties to yours. With our experience and industry-leading equipment, you can count on our SERVPRO of Rocky Hill / Sequoyah Hills / South Knoxville rapid response team to make water loss incidents “Like it never even happened.” Give us a call anytime you need us at (865) 862-8907. For more on Knoxville, click here. Homeowners face many threats to their properties, even when they are not always top of mind. There is always the possibility of a leaky roof, a burst pipe or a natural disaster. For all the tragedies reported in the nightly news, most threats are smaller but still disruptive. Take for instance the fire damage caused by a small kitchen or garage fire that leaves your home filled with smoke and soot and your belongings charred or badly damaged. Even when the fire in your home is not part of a news segment, it is still worthy of professional attention. SERVPRO is here to help when there is fire damage to your home in Knoxville. Even when well-wishers share their insight on how to restore your home after a kitchen fire, it is best for you to consult with professionals. Our IICRC-certified staff formally trains on the latest trends and techniques to return your home to its original condition while mitigating your loss. All you need to do is call us so our rapid response team can spring into action. Our crew is available 24/7 to respond to your emergency as soon as possible. One of the areas in which SERVPRO excels is in eliminating the relentless odor left behind by home fires. Many homeowners attempt to mask it with store-bought air fresheners, but it takes someone with our knowledge and expertise to understand that each surface requires a tailor-made approach to eradicate the foul odor. In some instances, it is necessary to install unique filtering systems in your HVAC systems to purify both the air and the ducts through which it travels, whereas in others an ozone generator may be needed to neutralize the odor. Even beyond these techniques, we may even choose thermal fogging to overcome the smell of smoke in your home and make it a thing of the past. Even when the fire in your home seems small, the consequences are palpable. SERVPRO of Rocky Hill/Sequoyah Hills/South Knoxville is here to help. Just call us at (865) 862-8907 and let us leave your home "Like it never even happened." Knoxville Storms and Flooding? SERVPRO Can Help!! Trees can add a natural landscape and beauty to your Knoxville home. However, during a storm, one of your beautiful trees may become a significant threat to your home and your family. If the tree falls on your home during a severe storm, it can create flooding inside your home. When this happens, ensure everyone gets out of the home as soon as you can for safety reasons. Once the storm subsides, you need flood damage restoration services for your Knoxville residence. SERVPRO is always ready for you, and we have the tools and experience needed to get your home back in order as soon as possible. When the rainwaters have accumulated to a few inches or more, SERVPRO technicians can make use of our robust, truck-mounted pumps to remove as much water as possible in a quick manner. Once this is done, if there is carpeting in the affected area, we use moisture sensors to find how much moisture is in the padding and carpet. The sensor is equipped with sharp probes which penetrate down under the padding to see if the water migrated to the subfloor underneath. Typically, these floor coverings must be discarded, but circumstances are first evaluated in the chance of salvaging them. 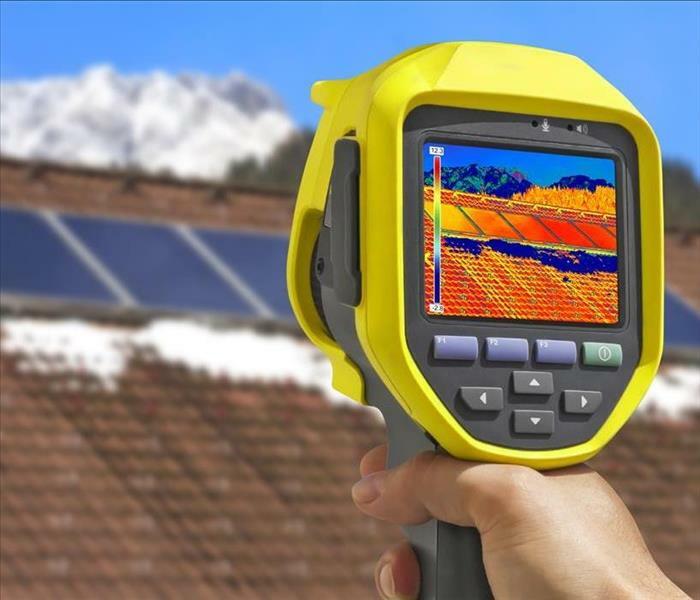 Thermal imaging cameras are used to inspect and monitor the moisture in any building materials, while centrifugal air movers and dehumidifiers are used to finish the drying process of the structure and the air. We move quickly, but thoroughly to avoid any additional damage to your home, such as mold growth. Trees are shallow rooted, and when it rains heavily in urban areas, it can cause trouble for the trees and the people who live near them. It is difficult, however, to give specific answers as to why trees topple in heavy rainfall. Usually, it is a combination of factors which makes the trees susceptible to blowing down and causing you a terrible day. While on the scene, we attempt to cover any breaches in the structure to mitigate the water damage from rains. SERVPRO of Rocky Hill/Sequoyah Hills/South Knoxville is here to come to your rescue should a tree cause a flood of rain to enter your home in Bearden, Fort Sanders, or Rocky Hill. As soon as you are safely out and the storm subsides, give us a call at (865) 862-8907 so we can help you right away. Why visit Knoxville, click and find out. We have equipment waiting to handle your water damage restoration job big or small. 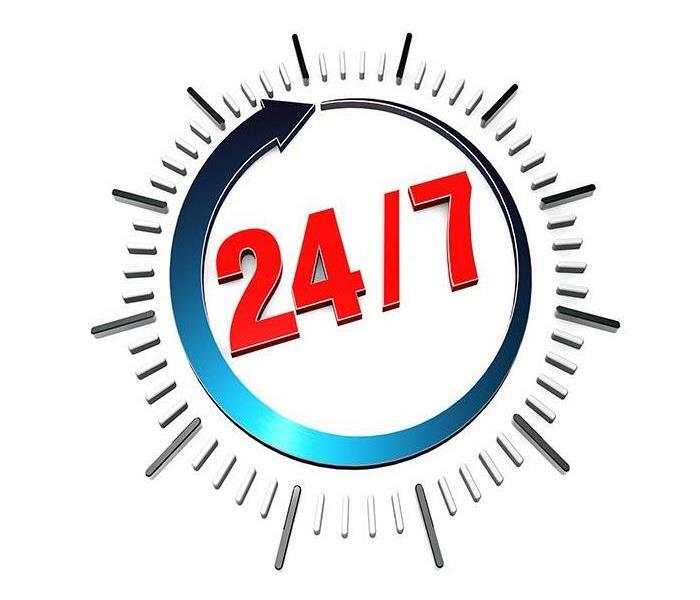 We are available 24/7 so don't hesitate and call us right away. If you’ve accidentally left your bathtub faucet running in your Knoxville home, you know the kind of damage that can ensue. Whether it was only for ten minutes or five hours, the amount of cleanup needed needs assistance from professionals. Needing water removal services for your Knoxville home after an overflowing bathtub is not something to be embarrassed about, so don't hesitate to get help. We have the tools and training to help you clean up the mess and repair any damage, but the longer you hesitate, the worse everything is. The first thing SERVPRO techs need to do upon arrival to your home is to assess the water damage done. Water that is two inches or deeper can then be removed with a powerful, truck-mounted pump. We remove as much of the water as possible to make the drying process faster. Moisture sensors are used to find any hidden moisture in the ceiling, walls, or floors. It is very importatnt that we don't miss anything since mold can start to grow if we do. Industrial fans and dehumidifiers are used to complete the drying process. We monitor these machines each day and rotate them as necessary to shorten the drying time as much as possible. Once the affected area is completely dry and we have checked for mold, any repairs can be made. Drywall that has been soaked may need to be replaced, and any other structural damage is repaired. We also use antimicrobial agents to disinfect and clean the area to prevent any mold from growing. Plus, to help alleviate your stress, we can talk with your insurance company to ensure you get the coverage you need. SERVPRO of Rocky Hill/Sequoyah Hills/South Knoxville understands that an overflowed bathtub in your home in Holston Hills, Bearden, or Fort Sanders can be quite overwhelming. However, we can clean up the mess for you and make it like it never happened when you call us at (865) 862-8907. Click here to find out why you need to visit Knoxville, Tennessee. Sometimes too many appliances plugged into an outlet can cause a fire. Or wires in a house are older and spark. Contact SERVPRO for remediation. When Rocky Hill homeowners try to enhance the electrical capability of their houses, fire damage can result. 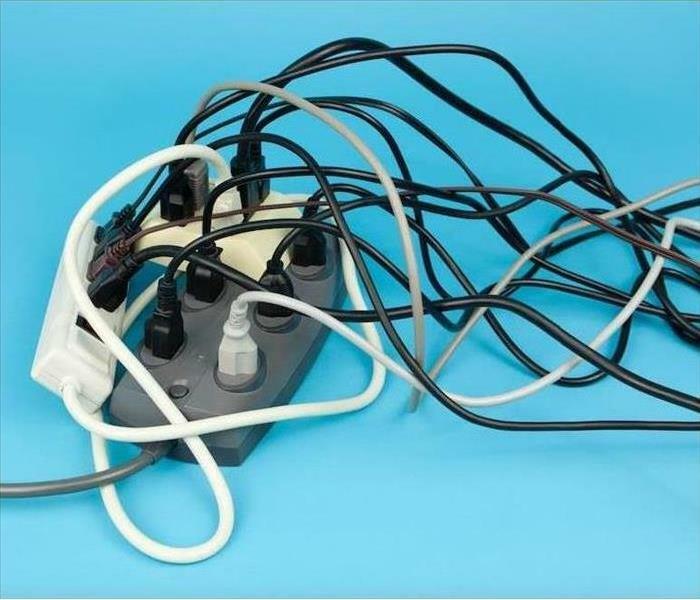 Older homes with antiquated wiring are at obvious risk, but new construction also is not always equipped with outlets everywhere you might wish. If your attempts to accommodate appliances cause an electrical fire, we have the resources to help you respond and recover. Family gatherings are hectic enough, but when competition for the last outlet in your home ends with fire damage in Rocky Hill from inadequately rated extension cords, you and your loved ones face evacuation rather than a cozy, congenial time. Today’s explosion of countertop appliances -- deep fryers, new age pressure cookers, stand-alone rotisseries, and convection ovens, to name a few -- join slow cookers, mixers, blenders, and food processors jostling for a grounded outlet. We have seen how this traffic jam ends in a smoldering fire or sparked blaze and can respond quickly, even on a holiday or weekend. The thick and acrid smoke and soot from an electrical fire is a challenge for which our SERVPRO team trains continuously. You may despair of restorative efforts making a dent in the widespread residue, but our IICRC trained technicians master effective techniques that clean soot, restore finishes, and eliminate that horrible burning wire odor. An experienced project manager assesses the particular circumstances and develops a comprehensive plan. Then our fire damage crew systematically moves through your home, rapidly but skillfully using the proper products and techniques to clear away the coatings. If your HVAC system operated during the fire, it may be contaminated and need cleaning as well. It should be deactivated until evaluated to prevent further spread of the soot and debris. If firefighting efforts used water, we likely attend to that first, removing water and assessing the moisture content of structures to avoid mold damage or the deterioration saturated woods and metals suffer if not quickly dried. Finally, our deodorization specialists ensure all smoky debris are discarded. If odor persists, we clean surfaces and consider sealing porous materials to keep the odoriferous particles from vaporizing. Professional deodorization sprays may be effective, but we also use thermal fogging, a process that replicates the environment where the odor particles were dispersed. A heated chamber combusts the deodorant, allowing the now minuscule bits to find and neutralize the odor molecules. Hydroxyl generators are another option, changing the chemical composition of the tiny bits of smelly debris and rendering them odorless. Look to SERVPRO of Rocky Hill / Sequoyah Hills / South Knoxville when an electrical fire threatens to derail your plans. 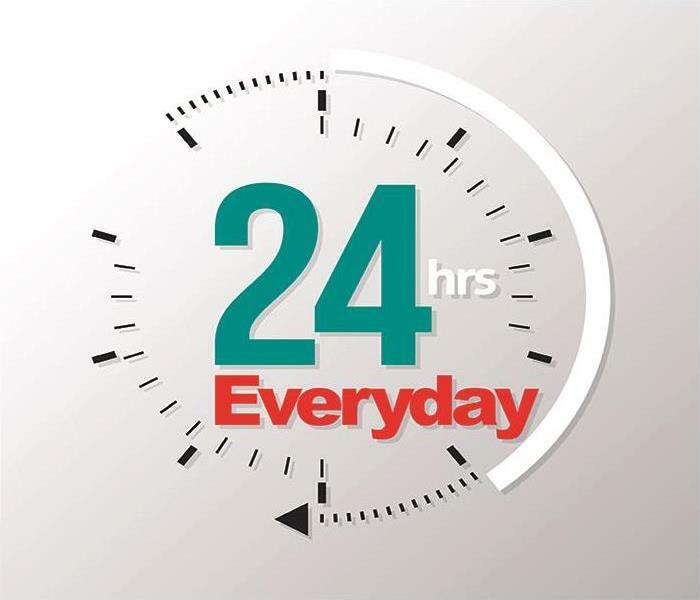 Call us 24 hours a day, 365 days a year at (865) 862-8907. Mold can infest a home before anyone living there sees the first black spot. Mold can infest a home before anyone living there sees the first black spot in the bathroom or smells that telltale musty which accompanies many, but not all, types of mold spores. 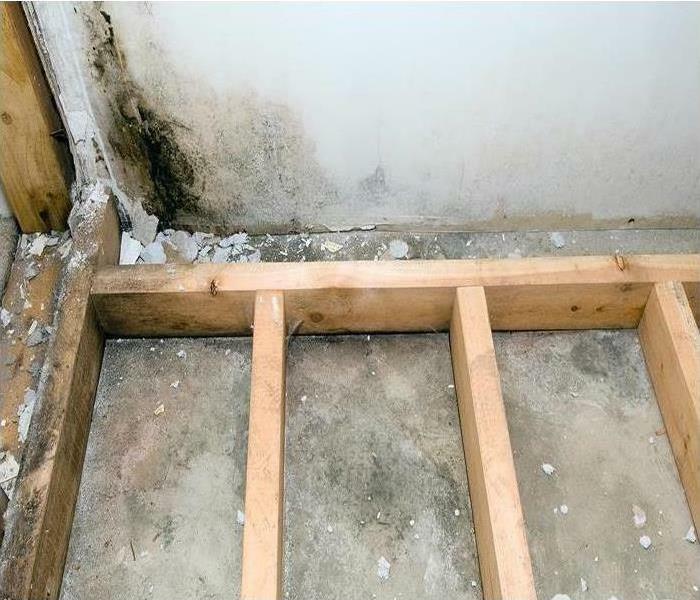 When mold growth spreads across multiple rooms, the cost can run into thousands of dollars for a homeowner. To achieve mold removal in a Knoxville home, SERVPRO inspects the structural and personal property to determine if it is possible to clean items on-site and remove the mold; if they must be removed to be cleaned at our facility, or must be thrown out. Cleaning on site begins with vacuuming every surface using specially made HEPA filters. They are designed to capture mold and can trap even a single spore. After vacuuming, our technicians wipe down surfaces using dry and wet cloths. After we complete cleaning in an affected room, we allow time for spores in the air to settle. Using test meters, we check for surface mold levels. If they exceed standards laid out by the EPA or the IICRC, we repeat cleaning as necessary. When we finish the last procedure, technicians carefully bag all filters and cloths used. They dispose of them according to federal and Tennessee state regulations. If the property can be cleaned, but not in the home, we remove it to our facility. There, we have access to more chemical agents and cleaning methods to include immersion cleaning for smaller items. If required, our office also contracts out larger items to commercial cleaners. We cannot clean personal and structural property if mold has penetrated the surface. To prevent accidental contamination, we bag or wrap everything possible. Building material, such as drywall, is broken down into manageable sections so it can be disposed of easily. Depending on the amount, we take the infested property to a licensed disposal site or bring in a dumpster and have it removed when it is filled, or we finish the job. Clearing out mold from your home can be a difficult process; requiring special equipment and training. SERVPRO of Rocky Hill / Sequoyah Hills /South Knoxville has decades of experience in handling mold and other hazardous material. If you need our services, call today at (865) 862-8907. We are here to help. 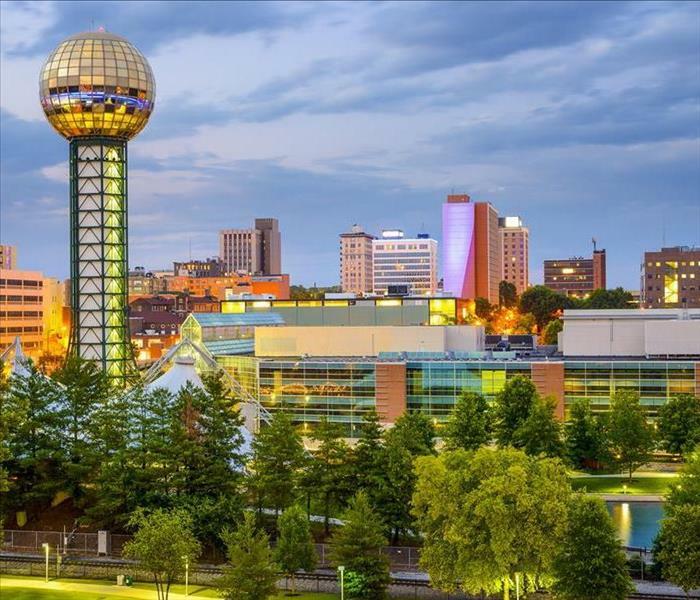 For more about the city of Knoxville, Tennessee visit http://www.knoxvilletn.gov/. Call us 24 hours a day year-round at (865) 862-8907 to schedule a timely assessment. When your Knoxville business faces a water loss toss aside the quaint idea that “slow and steady” is the preferred approach. No matter how excess water intruded into your commercial property, you have no time to lose when responding. Moisture soaked into structural components or inches or feet of water threatening equipment, documents, and inventory are catastrophes necessitating immediate action. Your best bet is to line up our expert water abatement team. Finding faster water removal in Knoxville is as straightforward as contacting our office. We invest in the highest efficiency commercial pumps and water extractors available, capable of moving even hundreds of gallons of water out of your business property rapidly and completely. Premium water removal equipment is only as good as its operators. Our company has built a skilled workforce of IICRC technicians trained and experienced in substantial water loss remediation. Your business benefits from our proactive approach. Water that lingers in a commercial space for more than 24 to 48 hours exposes your business to a heightened risk of mold damage. 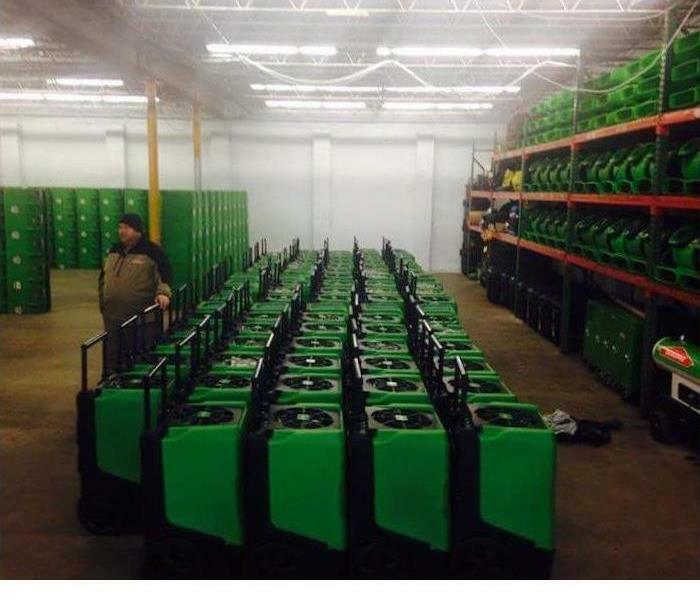 SERVPRO focus on the fastest route to water removal, arriving at your retail store, warehouse, hotel, restaurant, or other property with an experienced crew and fully stocked service vehicles. Our signature green trucks hold high-capacity submersible pumps, wanded and heated water extractors, and effective cleaners, tools, and EPA-registered disinfectants. If needed our equipment can operate using onboard generators or gas motors, so we do not need to wait for electricity temporarily disconnected to be reconnected. We also carry air movers, heaters, and dehumidifiers on the trucks to move seamlessly from water removal to applied structural drying. Expect us to promote faster water removal for your commercial building using all resources at our disposal. If your business water loss is more extensive than average, we access our nationwide network of affiliated SERVPRO professionals to increase our capacity. More personnel and a more extensive inventory of water extraction and drying equipment ensure your property returns to preloss condition with skill, thoroughness, and all deliberate speed. SERVPRO of Rocky Hill / Sequoyah Hills / South Knoxville is Faster to Any Size Disaster, solving your commercial water removal challenges quickly and professionally. Call us 24 hours a day year-round at (865) 862-8907 to schedule a timely assessment. 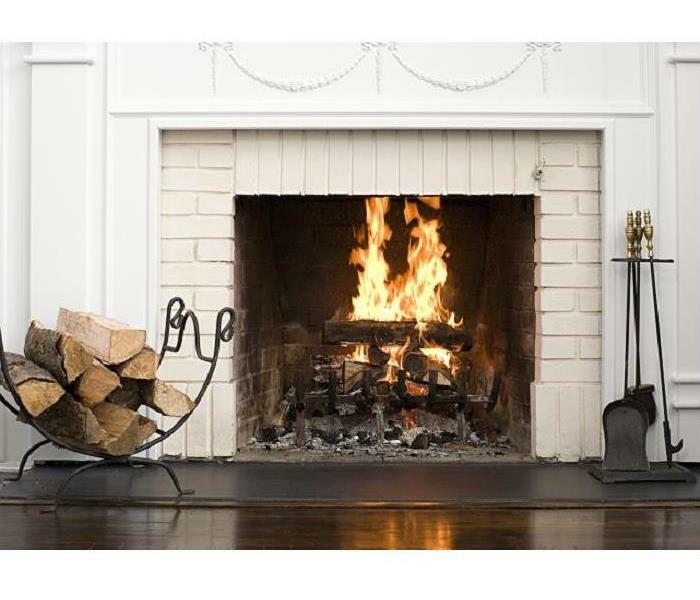 Be sure and have your fireplace inspected regularly to prevent fires. As the winter months set in, some may be inclined to use a fireplace inside of their home to make their sitting rooms toasty. However, it could cause fire damage should the flames be left unattended. Keeping a fire going inside of your home requires a watchful eye and a careful hand. It is important not to over-feed the fire, or else the flames could rebel against you and build too high. Unfortunately, that is what happened inside of your home. However, it is comforting to know when accidents do happen, that there is always help close at hand. When fire damage does happen inside of your Rocky Hill home, it is essential to reach out for help as soon as possible. While you extinguished the fire quickly enough, the blaze had reached up beyond the mantel and left behind soot stains on the shelf above it. The damage in your living room may be considered relatively small; however, it is an eyesore when plastered against the light colored paint. Calling for professional help as soon as possible maximizes the chances of removing the soot stains successfully. When you reach out to SERVPRO, we always travel to your home as swiftly as possible while also bringing advanced technology with us designed to tackle the specific damages inside of your home. Our IICRC-certified technicians can investigate the fire damage inside of your living room and then determine the best solution to remove it. SERVPRO can use a lubricating cleaning solution that pulls the grime away from the wall and allows it to be wiped away with a cloth. Our technicians always choose a method of remediation that is appropriate for the material that is damaged. After some scrubbing and repeated cleaning with our solution, SERVPRO can address any other problems the fire may have caused. Sometimes, a fire can leave behind a foul odor that we can address with devices such as thermal foggers or hydroxyl generators. Once the damages are all taken care of, SERVPRO can leave your home as it was before the fire stained your wall. If experience causes minor damages in your home, never wait to get help. 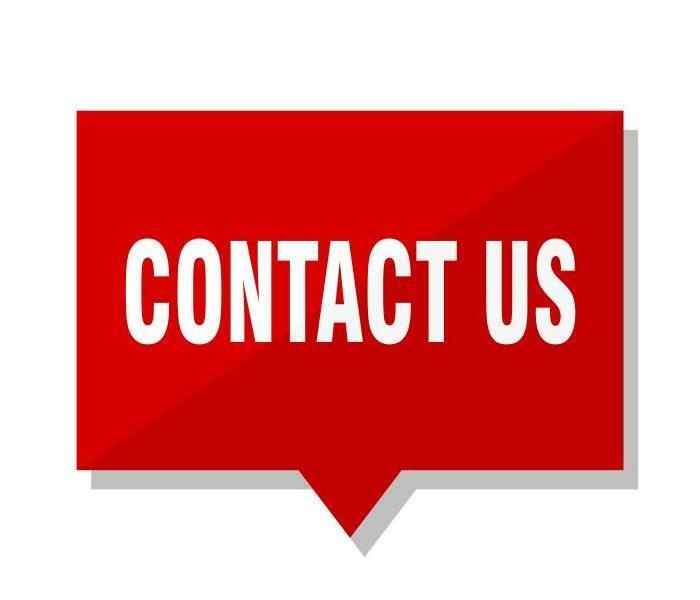 Get in contact with SERVPRO of Rocky Hill / Sequoyah Hills / South Knoxville by dialing (865) 862-8907. No matter the time or place, we can help you. Read more about Rocky Hill here. 3/19/2019 - Knoxville Storms and Flooding? SERVPRO Can Help!! 2/7/2019 - When Your Bearden Home Experiences A Water Damage Disaster, Call The Experts At SERVPRO Immediately!